We live in a world that has so many differences. Ethnicity, religion, wealth, ability, employment, hobbies, size, opinion - you name it, we're all different. But how should we treat those who are different to us? You see, what we read in John 4 is actually quite remarkable. 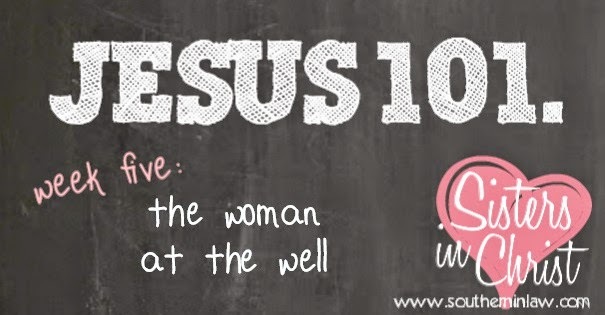 Jesus was a Jew and the woman at the well was a Samaritan. Jews and Samaritans did not talk to one another. Their issues went waaaaaaaaay back - I'm talking five or so centuries back. It wasn't just a grudge that was held from the last family get together - this was a grudge that was passed from generation to generation. The Jews and Samaritans were bitter enemies - but Jesus didn't care about any of what had happened in the past. Whilst every other Jew avoided Samaria like the plague, Jesus walked right into it - and brought His disciples with Him. Jesus was tired from the journey so whilst His disciples went to get some groceries, He took a seat at a well in the town. Whilst He was resting, a Samaritan woman came along to fetch some water. Jesus asked her for a drink and she was shocked that a Jew was speaking to her - let alone asking her for a drink - and Jesus's disciples were shocked that He was speaking to a woman. But Jesus's simple request for a drink from this woman shows us something incredibly important; we're all equal. Regardless of differences. Jesus shows us a simple way to treat those who are different to us; treat them as normal human beings! But then Jesus offers up some spiritual truth. He tells this woman that He can offer her something far better than water - but only if she wants it and asks for it. Jesus offers this better alternative to all of us. You see, what Jesus is offering is living water - the water that runs through us and gives us eternal life. He's not talking about a fandangled fountain of youth here - He's talking about the life we have with Him and how He can quench our unquenchable thirst and provide for our needs. Have you ever been super dehydrated and just cannot get enough water? You drink and you drink but you just can't seem to get on top of it? That's what life is like without Jesus. We need this living water. We need Jesus - the way, the truth, the life. Jesus also talks about true worship in this chapter - the kind that comes along with the living water, not our ethnicity or age or past or location. True worship depends on our attitude to God as shown in our attitude to His son, Jesus Christ. True worship isn't about the songs you sing or the day or place you meet - Jesus covers what true worship is perfectly in His response to the Samaritan woman; He tells her that the time will come when all will worship God neither this way nor that way - because God is Spirit, not found in earthly places, music, cultural gestures or the date on your calendar. That day is now, my friends. Our relationship with God is a Spiritual one because He is Spirit. God doesn't want to meet you on a Sunday in West Ryde whilst you're wearing a blue dress with purple puppy dogs and singing devotional songs - He wants a relationship with you. Anytime, anywhere. True worship isn't defined by external matters - it's defined by our relationship with Jesus. 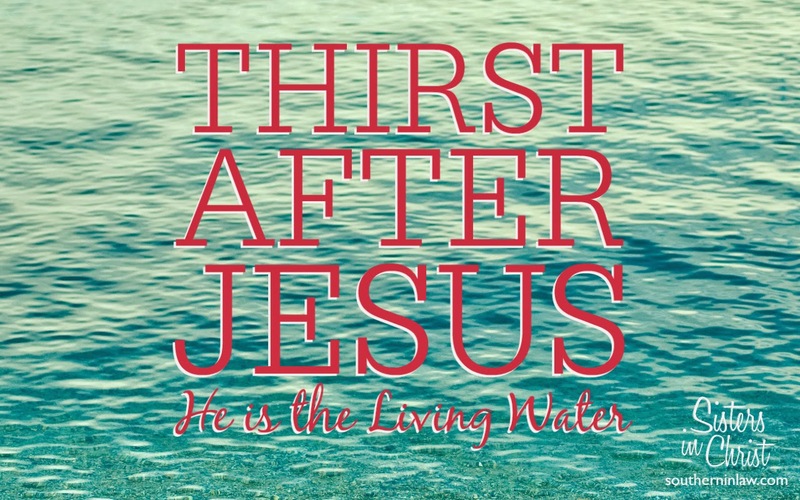 We need Jesus to give us that living water - and He'll top us up again and again; we just need to admit our need and our thirst and ask Him for a drink. We worship in Spirit and Truth when we look to Him for what we need. Jesus just wants you to ask Him for a drink. He's waiting and He knows exactly how to quench your thirst and address your needs. Sign up here ready for this week's study guide! But tell me, what does true worship mean to you? Think about how you can treat others closer to the way Jesus treated others. Girrlllll~I love how you said that Jesus cares about the present, and that He will only give us that living water (relationship with Him and fulfillment) if we truly WANT IT AND ASK. He does everything He can to reach our hearts despite the doors we keep shutting sometimes, but He's also so respectful that He doesn't force His love on us. Awesome reminder! Isn't it so awesome that He just keeps on waiting for us - regardless of who we are or what we do?! THAT is love! 'look, I tell you, lift up your eyes, and see that the fields are white for harvest' john 4:35. i love this verse. not only does it remind me of the challenge to look around myself and see the people God is placing there for me to tell about Jesus but it's also quite fitting as this week our church family will be spending lots of time with a family who we are partnering with as they head to universities in France to tell the people there about Jesus. The fields are white and ready for harvest everywhere!